Capture all the style and taste you want from a hamper with our luxury range from Inhouse. 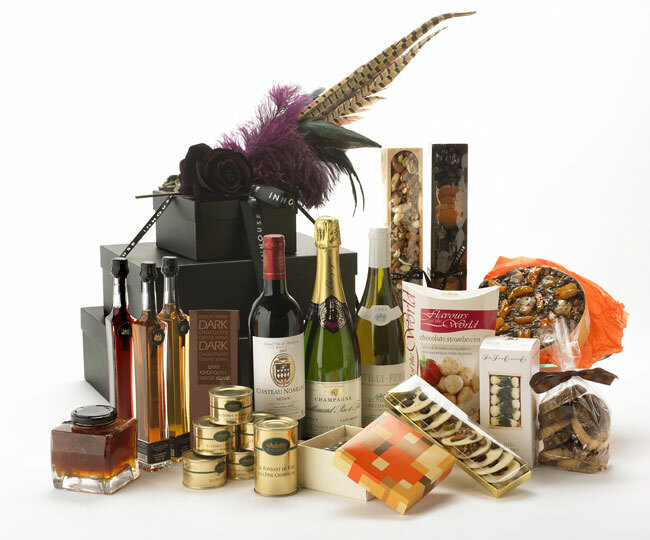 Each item is our hampers is individually sourced from around the world for people who love good food and award winning wines in sumptuous packaging – almost too good to take off! For a truly lush gift to spoil family and friends, why not choose from our combination of food and gifts providing the best of both worlds – a mini hamper and stunning gift? We call them gift towers you may well call them sublime. Hold on to your customers and lock in new ones with the power of an Inhouse hamper. Reward your employees with good taste - literally. We will help you set new standards in customer retention, staff retention, and client care.